How blind people live?they are deprived of sight and unable to see beauty of nature! nobody knows who am I? OH GOD! what was my mistake? Is love is not for all? Is I am fascinated by my blindness? Is am I deprived from kindness? that is different from all !! people who are blind says that we are very grateful that can't see other people's face that are full of lies and rudeness. why are you saying this ....????? bina g.poem can be written on any topic and this poem is for all the people who can't see.i wanted to explain their difficulties and their complaints with God.i realized when i have read story of helen keller. 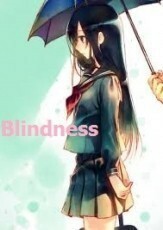 by the way.how was my poetry?this is my poetry on blindness. by reading this poem we can realize how these people suffer.!!!! Nice piece of writing, with a nice moral lesson!